Google has surprised us yet again with their latest innovation, Google Wallet. It could straight out of a science fiction movie. Google wallet is not another wallet. It’s a new technology that turns your cell phone into a full fledged wallet. I see what Google is doing. Over time, Google wants to replace the basic essentials that you keep in your pockets such as your wallet, keys, and other things such as movie tickets. Kind of cool, but kind of scary at the same time. How does Google Wallet work anyways? It’s a pretty simple concept. 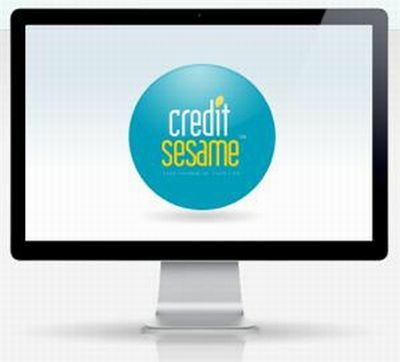 You load your credit card information onto your phone and voilÃ , your cell phone has now become a portable credit card. With the scanning capability of your phone, Google has implemented Near Field Communication technology. This technology utilizes radio frequencies to send information back and forth between your phone and whatever you’re attempting to scan for purchase. Google Wallet will give you the ability to store debit cards, credit cards, coupons, gift cards, PIN’s, networking contacts, and other sensitive data that would be nice to be stored on a phone. To be honest, this is a big concern for me. Sucirty is on everyone’s minds, especially with the reports you hear all the time of identity theft. So, how is Google going to protect my information? I guess Google will assign a unique personal identification number to each phone. This will be like a typical debit card that you own already. Scan your phone for your purchase, input your PIN and you;re good to go. Google has taken things a step further and installed a self-destruct sequence if the phone is tampered with. I worry about this because what if it’s you who is tampering with the phone? I’m sure this will get ironed out. It truly is something out of a science fiction or 007 Bond movie! Before you get too excited, remember that Google Wallet is pretty limited right now. Hardly any stores have the capability and only Mastercard is actively using the program. As if that’s not limited enough, Google Wallet is only currently offered on one phone (Nexus 4g S) on the Sprint network. So, as you can see, things are slow right now and Google is barely breaking onto this scene. 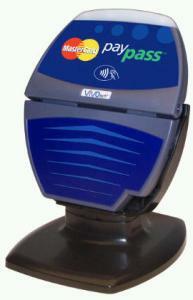 Give this technology five more years and you will see almost everything using Google Wallet. And be on the lookout for expanding programs such as Google’s version of Groupon. It’s going to be called Google Offers and will be as easy as buying the offer on your phone and swiping the phone at the desired location to redeem your offer. Pretty cool stuff. I really believe Google Wallet is going to put some serious pressure on other companies to start developing similar technologies. Since Sprint is the only network provider offering this technology, I wouldn’t be surprised if Verizon or AT&T come out with similar services. This is what I love about big companies and technology. One comes up witha good idea, now others will join in on the parade and create even better products. If you’re an I-phone user, you’re out of luck. I have a feeling Apple has something up their sleeves. This is an up and coming technology and sure to get better in the coming months. I’m 50/50 on Google Wallet. Call me old fashioned, but I like having actual credit cards on me. To be honest, I think Google Wallet would just complicate my life. Don’t get me wrong, I think it’s a great technology. I just don’t think it’s a necessity. 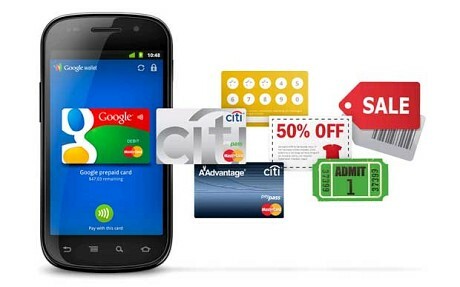 There is tons of potential with Google Wallet and I see great new technologies resulting from Google’s latest launch. In the meantime, keep your eyes peeled for what Google does next! To the readers: What do you think? Would you ditch your current phone to have this new capability for purchases? Root of Riches Review With Book + $350 Giveaway!